Dashboard aggregates multiple project files (either located on your machine or online) in a virtual master project to help you get a higher-level perspective on your projects. It offers the advantage of bringing projects together in order to analyse them, without having to manually insert them as subprojects into a master file expressly created for this purpose. The feature is especially useful to observe resources – it is actually a frequent scenario that in overlapping projects considered individually resources are not overallocated, but when considered as a whole, shared resources across multiple projects are assigned to more work than the normal working capacity. 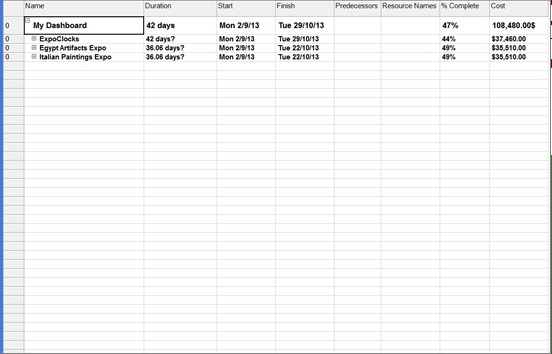 Resources shared across multiple projects must be identical in all projects (Name, Calendar, Max. Units, Std. Rate, Ovt. rate, Cost / Use, etc.) in order to be correctly aggregated. 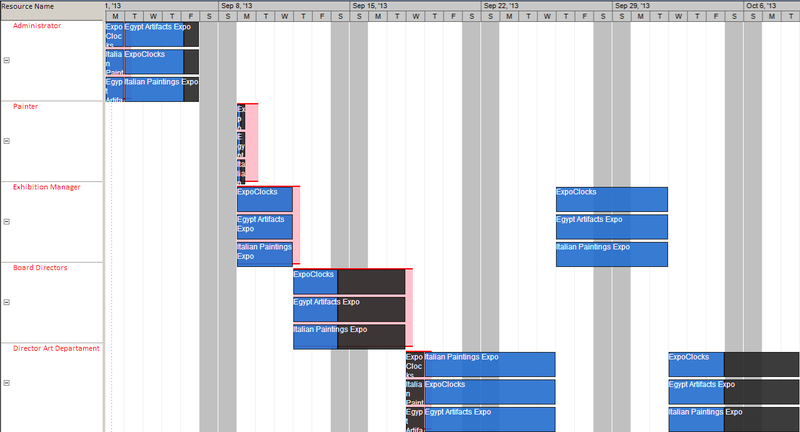 All included projects must have the same calendar options. Work must be entered in the same unit type in all projects (and selected as Work Unit in the New Dashboard dialog). 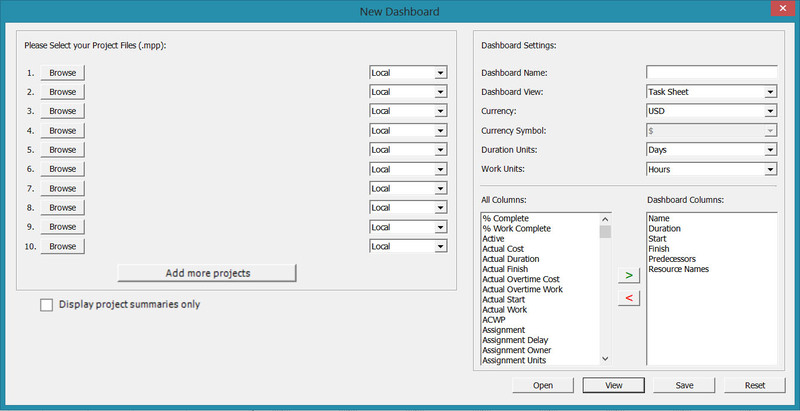 All projects should have the same currency (and selected as dashboard Currency in the New Dashboard dialog). If a different currency is selected, no conversion will be performed. Now that the files are selected, we need to configure the Dashboard settings, according to the projects’ settings and the viewing preferences. 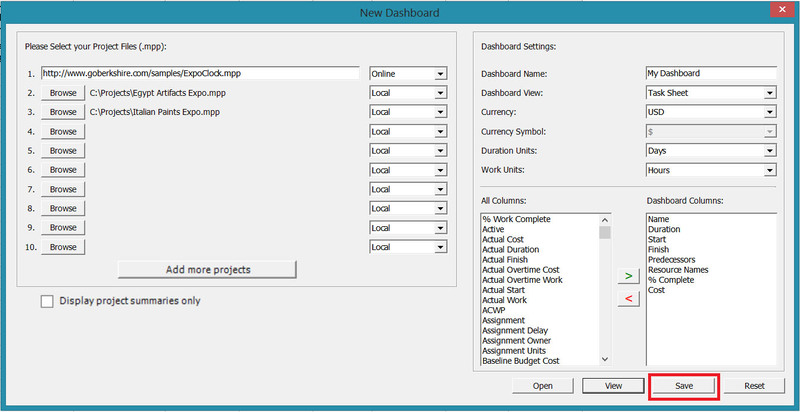 The default Dashboard view is Task Sheet and it is also the only one that allows choosing the columns to be displayed on rendering. 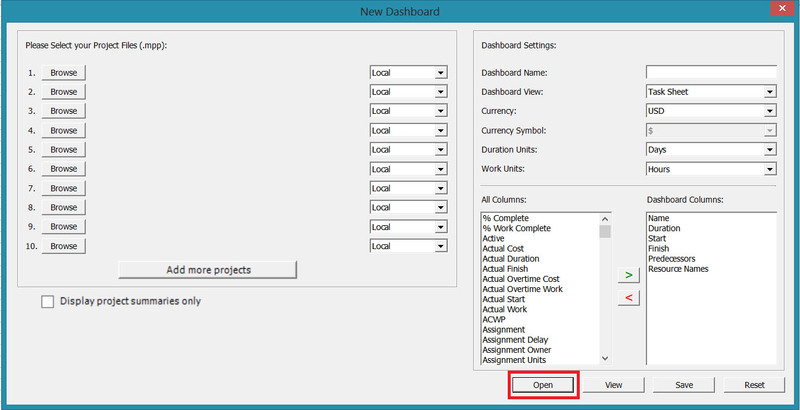 Dashboard Name – the name of the dashboard project (if left blank, dashboard will be set by default). Dashboard View – one of the main views: Task Sheet, Gantt Chart, Tracking Gantt, Task Usage, Calendar, Resource Sheet, Resource Usage, Resource Graph, Team Planner, Network Diagram.Currency – allowed currencies are USD, AUD, BRL, CAD, CHF, CNY, DKK, EUR, GBP, HKD, HUF, JPY, MXN, NOK, NZD, RON, SEK, ZAR. All projects should have the same currency and this is the currency you have to select here. If a different currency is selected, no conversion will be performed. Currency Symbol – the corresponding symbol for the currency selected above. 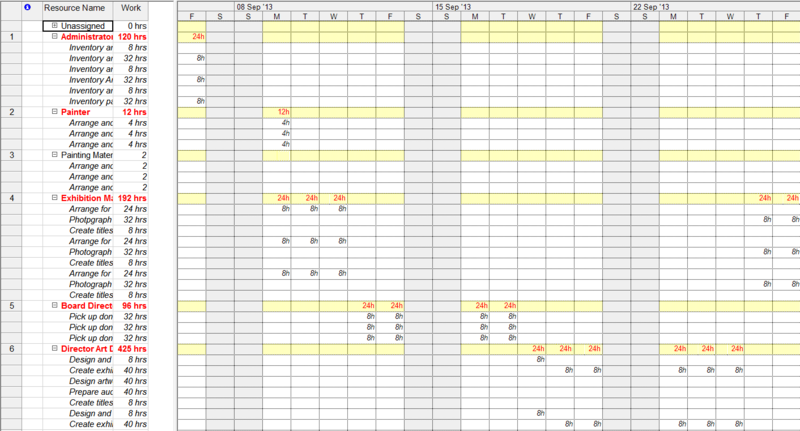 Duration Units – Minutes, Hours, Days, Week, Months. The default duration unit is Days. It is recommended for this setting to be the same with the ones in the compound projects. Work Units – Minutes, Hours, Days, Week, Months. The default duration unit is Hours. It is recommended for this setting to be the same with the ones in the compound projects. You will initially see the dashboard project summary, along with the projects' summary tasks, which you can expand afterwards if you please. The Dashboard summary Start is given by the earliest Start date of all its subtasks. The Finish is given by the latest Finish date. You can now browse through all the available views, like with any regular project file. You might have noticed a Save option in the New Dashboard dialog. 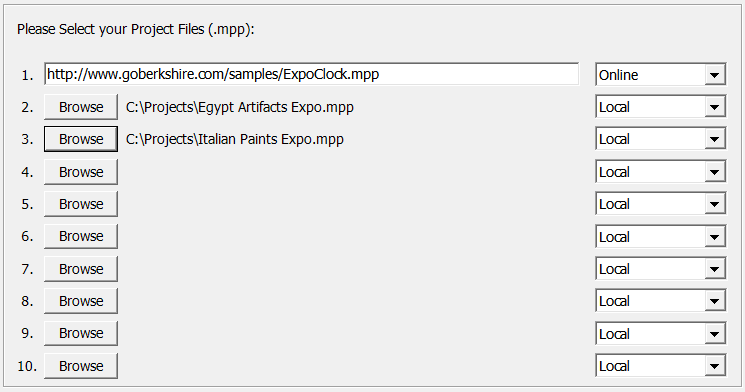 As entering the project paths and settings every time for each session can get a bit tedious, you have the option of saving a custom XML file containing all these pieces of information, so that the next time all you will have to do is to open this file. You don't have to worry if you didn't do this from the beginning. If you re-enter the Dashboard menu, you will see that all the fields in the dialog are restored to their last values. The Reset button will restore all the fields to their default value (i.e. 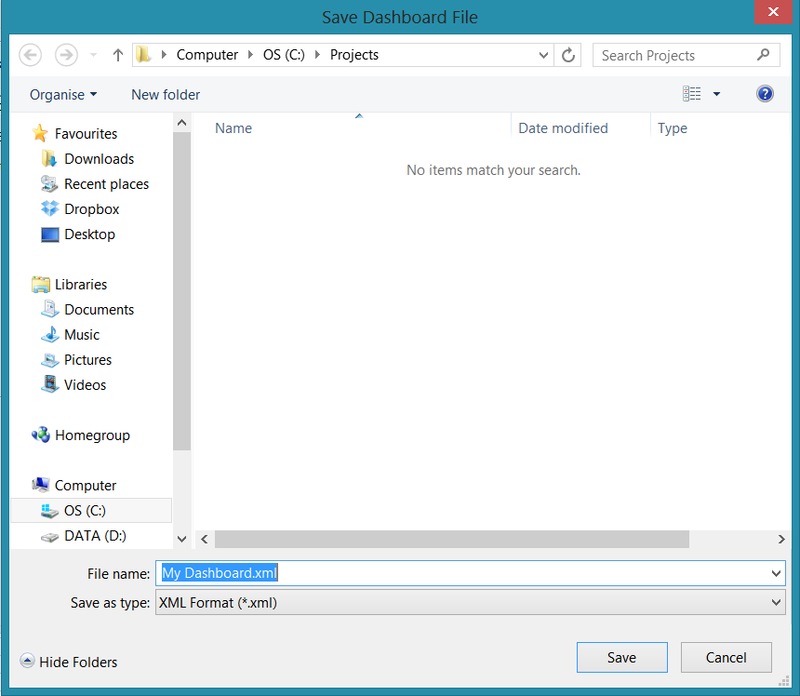 no project files selected, default settings and columns). The default file name is the one you chose in the New Dashboard dialog, but you can set another name if you want to. 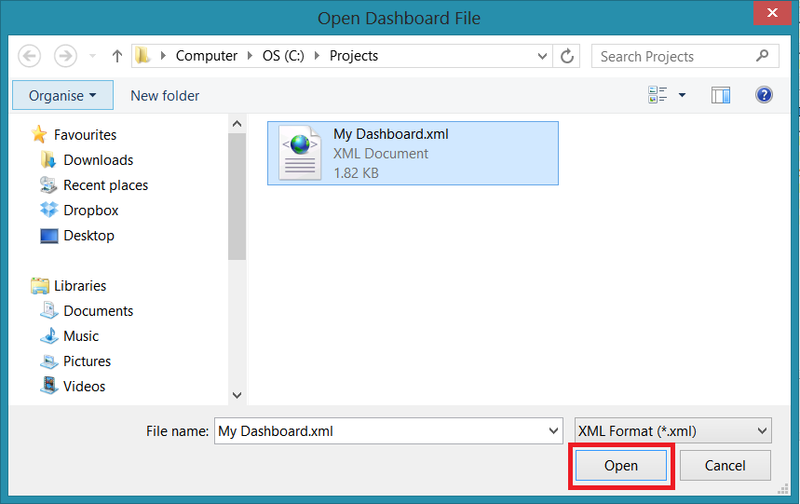 In order to open a dashboard file, you need to enter the Dashboard menu and press the Open button in the New Dashboard dialog. Then, you need to browse on your local hard drive for a saved dashboard file. This will have the same result as creating the dashboard from scratch and choosing View. You can always go back to the dialog and change dashboard settings or add more projects if you want to. Save is only necessary when you want to review the dashboard in a future session. If you want to see your dashboard in application, you need to export it, as a project. 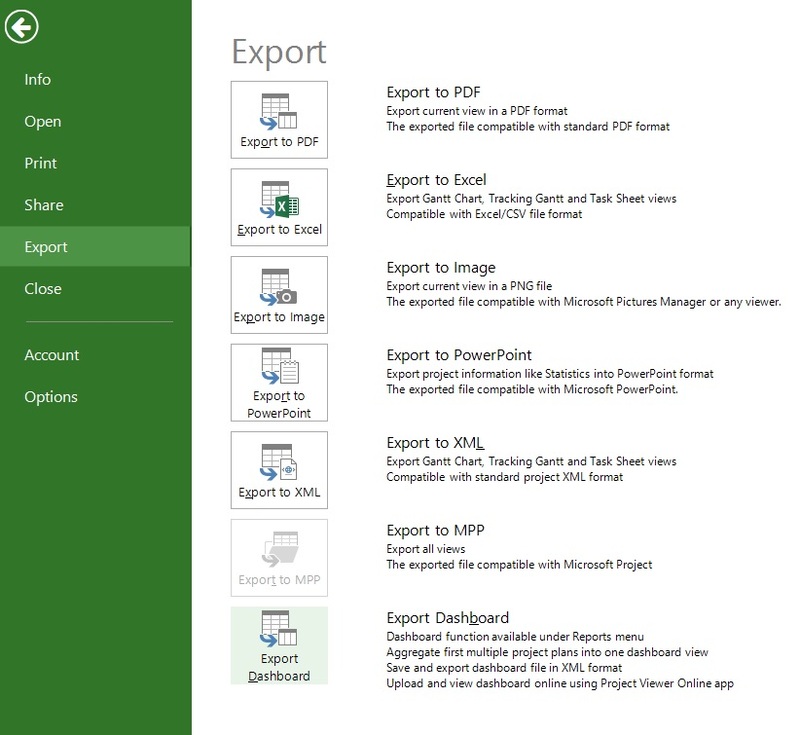 In order to accomplish this, you need to enter the File and choose Export Dashboard. A dashboard project suitable for the Project Plan 365 application is a regular XML project file which contains additionally some dashboard preferences regarding the default view and the columns that will be displayed. 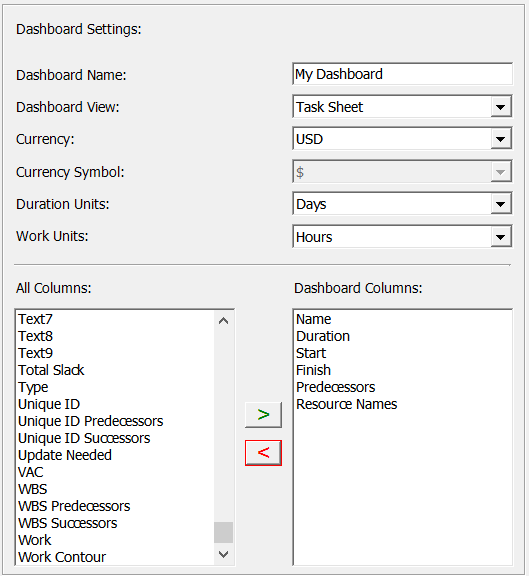 The dashboard export is done in an what-you-see-is-what-you-get manner, meaning that the view and columns shown at the moment of the export will be those displayed when importing the dashboard project. 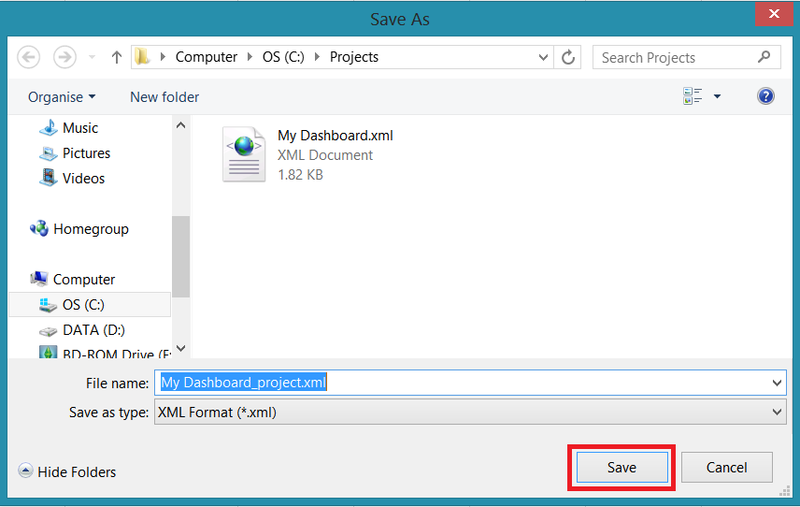 The default name for saving is the dashboard name + the suffix “_project.xml” to make it easier to differentiate between the dashboard configuration file which only contains the project paths and preferences and where all the indicated projects are loaded and processed on every opening and the actual dashboard project which is already processed and can be exported to xml format, like any other project, but with some preferences stored, in order to make it easy for you to visualise the projects as you want to, without additional effort. Please do not confuse these two formats. 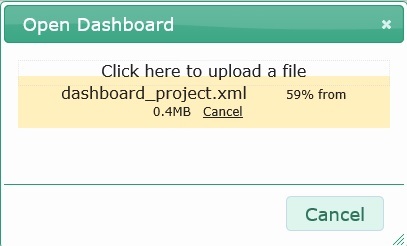 You can access Project Plan 365 either by installing it as a server-side application, or by going to its online address (https://www.projectplan365.com/pp365/demo.html). Then simply browse for your dashboard project (My Dashboard_project.xml from the section above) and click View Dashboard. And here is the Dashboard project, with the viewing preferences (view and columns) at the moment of exporting it from Housatonic Project Viewer. Overall duration, costs and work, as well as actual / remaining values of these fields can provide a project manager with an up-to-date global assessment of how the projects are going according to plan. Dashboard makes all these easy to keep track of. 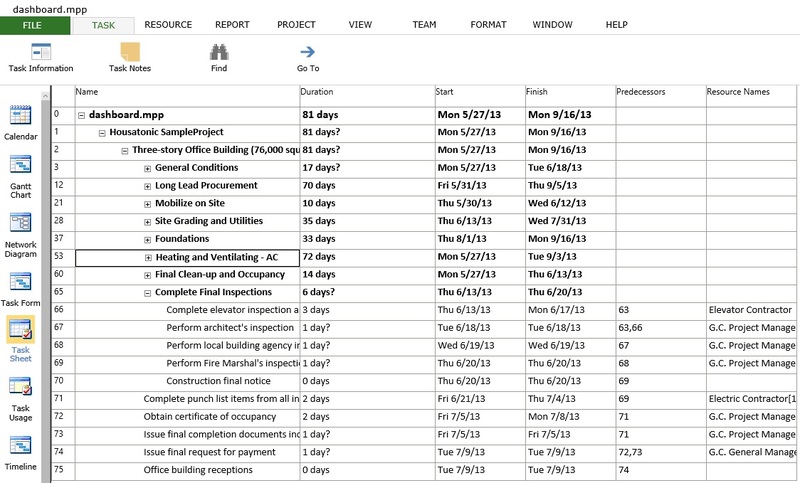 It has never been easier to get an overall assessment of projects indicators and stats and keep an eye on resources shared across different projects than using the Project Plan 365 Dashboard feature.